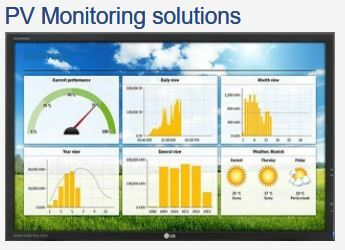 iPLON's Remote Monitoring Systems for Solar PV Power Plants is used in conjunction with iFTs, iATs and iMTs on site for monitoring, visualization and evaluation of Photovoltaic systems. The web portal receives live plant data viz. yield, current and voltage from each inverter and can be accessed on PCs and mobile devices from any part of the world through the internet. Periodical performance reports are also sent as emails in addition to performance ratio report exporting options provided in the portal.